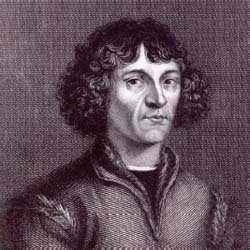 How did Copernicus present the heliocentric model of the solar system? Copernicus wrote his ideas in De Revolutionibus Orbium Coelestium, which was published just before his death in 1543. In this work, Copernicus presented a heliocentric model of the solar system in which Mercury, Venus, Earth, Mars, Jupiter, and Saturn moved around the Sun in concentric circles.